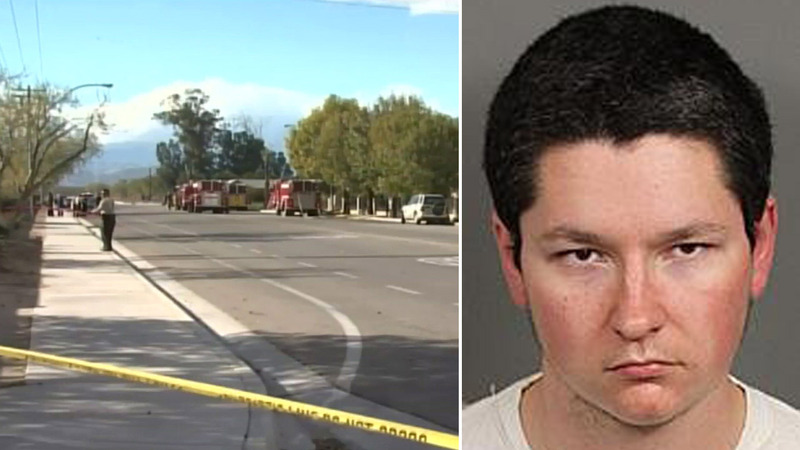 COACHELLA, Calif. -- A 23-year-old man was arrested on suspicion of a hate crime and arson related to a fire that broke out at a Coachella Valley mosque on Friday. Carl James Dial, of Palm Desert, was taken into custody around 9 p.m. and booked on five felony charges, including commission of a hate crime, arson, maliciously setting a fire and second-degree burglary, according to Riverside County Sheriff's Department jail records. Authorities found Dial in the 700 block of Country Club Drive in Palm Desert where he was arrested and booked at the Riverside County Jail. The fire was reported at about 12:11 p.m. at the Islamic Society of Palm Springs in the 84600 block of Avenue 49 on Friday, officials of the mosque said they saw someone throw a Molotov cocktail at the front of the structure. No one was injured in the fire. The investigation was ongoing. Anyone with more information was asked to call Investigator Butvidas at (760) 863-8990. Those wishing to remain anonymous may call (760) 341-STOP.